No one likes to wait around, especially for something as important as document destruction. If you have private paperwork that you need destroyed, we’re available for you five days a week. We want to make it as easy as possible for the residents and businesses of Milford MA to get on-site shredding. Contact us today! How do you get a next-day appointment? We make it easy. Just give us a call and we can help you understand the shredding options available. From there, we’ll answer all of your questions and give you a quote right away. Then we set up an appointment that works for you. We’re available to come to you Monday through Friday, so it’s easy to find a convenient time. You have better things to do than lug hundreds of pounds of paper to some outside location. Instead, we come to your Milford MA home or office. Our trucks shred 6,000 pounds of paper an hour, so you know the work is done quickly and efficiently. When our uniformed staff arrives, they place your papers into locked bins that are then emptied into the truck and shredded. You can watch the whole process on special screens mounted on the vehicle. One-Time Shredding – If you don’t have a lot of business records to destroy on a regular basis, you may just want to order our one-time purge service. We make that simple – just call us and we’ll set up an appointment to arrive at your business. We’ll take care of all your shredding needs and you can call us again when you’re ready for another purge. Scheduled Shredding – Many businesses find that they call us regularly. After all, 50% of all documents have private information that the law requires you to destroy. Rather than take a risk, it’s wise to have an ongoing shredding program in place. We can set up a repeating schedule such as weekly, biweekly, or monthly. We provide free locked containers to place throughout your office so employees have a place to securely dispose of documents, and then we destroy all the documents each time you’ve scheduled us to be there. Sometimes it seems that the general public is just as much at risk as any business. In fact, most identity thieves find the data they steal simply by going through your trash. Keep your identity and private information safe by shredding your documents securely with our residential document destruction service that is available Monday to Friday. It’s common to outgrow computers quickly as technology seems to advance every day. Don’t make the mistake of throwing out those old hard drives though. Even if you’ve deleted everything, a thief can restore the data and steal sensitive information. Instead, let us come to your location and physically destroy your hard drive, so you know no one can ever access it again. When we arrive at your home or business, we don’t want there to be any question who we are or what we are doing. All of our well-trained staff have uniforms and photo IDs. Everyone has a background check, undergoes regular drug testing and signs a confidentiality document. You can have full assurance that your A1 DATASHRED team will care for your documents with utmost security through the destruction process. There are those who do the job, and there are those who excel.  At A1 DATASHRED, we are proud to be an AAA Certified document destruction company with The National Association of Information Destruction (NAID). This means we meet and exceed the highest standards of security and safety when it comes to document destruction. We are regularly audited to make sure we continue to uphold these high standards. Choose a certified shredder for your destruction needs! If you’re focused on doing your part for the environment, we’re right there with you. That’s why we recycle all of the shredded paper we create so it can be used for other paper products. In fact, one ton of shredded paper saves 17 trees! When you choose A1 DATASHRED, you’ll have zero impact on landfills. Are you ready to get your private information securely destroyed? If so, call us for an appointment today. We’re here to serve!